Drumroll Please —– Downtown Parking! No one comes downtown anymore, because all the parking spots are taken. 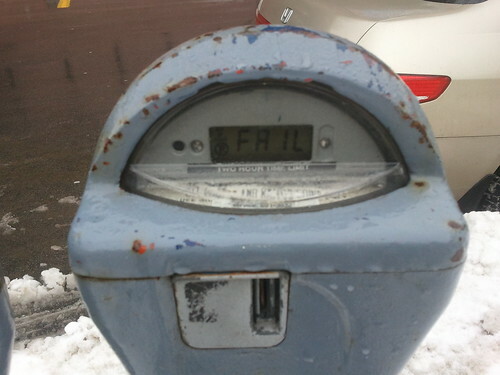 There’s a study out there that apparently rips downtown Buffalo’s parking situation a new orifice. 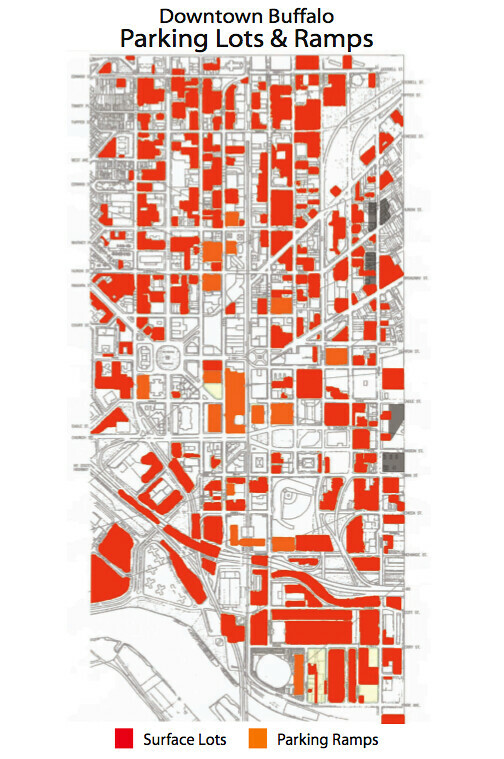 There can be no doubt that parking in downtown is a disjointed cluster of surface lots, disasterously out-of-date ramps replete with reserved spots, and on-street parking. Literally the only smart thing that the city has done lately with parking has been the installation of pay & display meters, which enable you to use a debit or credit card instead of coins, take dimes and nickels, and reduce the collection and maintenance duties for City Hall. Municipal lots are hard to find, oftentimes full come 9:00, and the surface lots are expensive and sometimes inconvenient, requiring tandem parking and similar. Quite literally, there is neither rhyme nor reason to any of it. There is no plan, no coordination, no effort to make it simple and user-friendly. As for the parking issue – it’s no longer a question of capacity (there’s plenty), it’s a question of planning (there isn’t any), or even technology (we’re years behind). Smart parking, coupled with a comprehensive parking plan that would enable the city to maintain a well-designed, properly spread out network of municipal garages that are not ugly, but are convenient would be a great start. Parking downtown is generally ugly and haphazard, but as long as we have what amounts to a bus-only transit grid in this region, parking does need to be addressed as a genuine issue. Let me invite you to visit the lovely city of Bern, Switzerland. The Swiss capital has a population of 130,000, and 644,000 in its metropolitan area. Driving a motor vehicle is prohibited in much of its downtown core, so parking spots are important, and Bern has implemented a user-friendly system. If you go to the Bern tourism info site, you can scroll down – pausing to snicker at the “Wankdorf” department center’s name – to the link to Bern’s parking garage system. When you reach that website, you are shown a map of the city center. (Shown at left, click to enlarge) More specifically, it’s a Google map mashup/overlay, showing the location of each parking ramp (a blue box with the letter P and, if covered, a little upside-down V over it). Next to each parking ramp is a number. Some may be red, some may be green – the number represents the exact number of available parking spots in that ramp. If spots are non-existent or low, the number is represented in red. If plentiful, in green. Mouse over each garage, and it tells you its name. Click on it, and you’re linked to detailed information about the garage location, rates, and whether Euros are accepted for payment in addition to Swiss Francs. The whole operation is simple, user-friendly, and updated in real time. And you don’t have to go that far afield to find a well-organized parking entity. In White Plains, several municipally-owned lots require you to remember the number of the spot in which you parked, and you then pay a single meter for as much time as you need. The number of available spots is thereby updated in real time and accurate. In some ramps, red and green lights show you where there are free spots from far away. 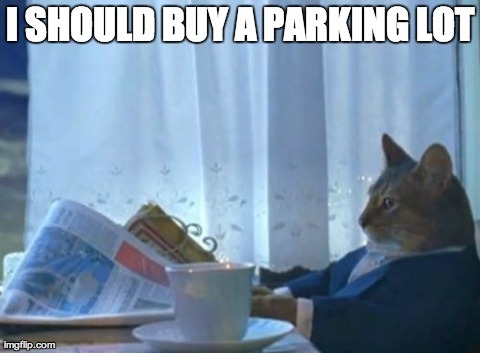 Hire a parking czar at a salary of up to $140,000 a year, then transfer duties currently performed by several offices to one consolidated department. The report also urges the city to scour the nation for a parking expert who will help engineer a top-to-bottom overhaul. “The fragmentation of oversight, reliance on the private sector and abrogation of traditional responsibilities has created an overly competitive, shortsighted and dysfunctional parking system,” said Desman Associates, a nationally recognized consulting firm that was hired by the city to perform the study. Harsh words by any yardstick. “The truth hurts,” replied Ellicott Common Council Member Brian C. Davis, who represents much of downtown and is a frequent critic of Buffalo’s parking policies. Whether we need a $140,000 per year position is questionable, but the notion that there ought to be a singular, unified plan is dead-on. It should also be lurched out of the mid-1970s and brought squarely into the modern era. Carl Paladino, who runs the private, non-profit Buffalo Civic Auto Ramps disagreed strenuously with the study’s conclusions. Interesting to note is that the city and BCAR jointly commissioned a similar study in 2006. This year, the city alone commissioned the study. At a bare minimum, it’d be swell if the city could consolidate multiple surface lots into well-designed and well-planned and positioned parking garages, thus freeing up prime real estate for actual development upwards. Is that something that would be nice or must be done? The highest and best use of Buffalo’s waterfront isn’t just CanalSide. It’s also the shittiest hotel ever located in a “neighborhood” with the shittiest architecture ever. So, it would follow that the shittiest food ever should be in the outparcels, although they would interfere with the precious, scarce parking there.